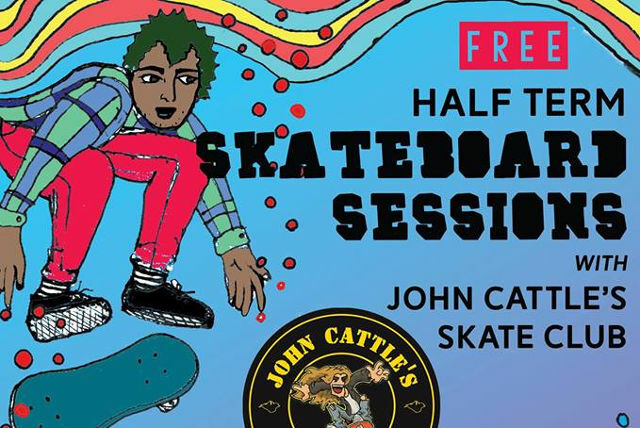 12 to 16-year-olds in Newport won’t be able to say they’ve got nothing to do this half term, as John Cattle’s Skate Club offer a range of free skateboarding sessions, supported by the parish council. Thanks to Newport and Carisbrooke Parish Council and Shaping Newport, 12 to 16 year olds in Newport can take advantage of free skateboarding sessions with John Cattle’s Skate Club this half term. Taking place inside at The Pavilion, Victoria Recreation Ground on Monday 18th between 2-3pm, Tuesday 19th between 3-4pm and Friday 22nd between 2-3pm and 3-4pm, all equipment is provided, so all you have to do is turn up. If you’ve never skated before, don’t worry, you’ll have the legendary John Cattle showing you the ropes and if you have skated before, you’ll be able to show the others your best tricks. “I’m pleased that we can offer even more skate sessions, through the support of Newport and Carisbrooke Parish Council and Shaping Newport. “I’d encourage teenagers to come along, even if they have never been on board before, we can get you skating in the first session. We provide everything, and these are free – so it is a great opportunity to try something new. “We’ve all been affected as a community by the recent escalation of anti-social behaviour in the town centre and having supported John Cattle’s Skate Club’s free summer holiday sessions previously, and seeing how successful they are, we were really happy to facilitate the indoor sessions for the February half term holiday. “We were aware of the reported anti-social behaviour in Newport, and a lot of the feedback seemed to be related to a lack of things to do – particularly in the winter months. “We have had teenagers talk about how skating has helped improve their fitness, as well as increasing their confidence, reducing anxiety and being generally positive to their well being.